The High Hat: Some celebrities wearing and loving hats by Selima! Some celebrities wearing and loving hats by Selima! Jenny Bapst, Delphine Diallo and Madina! 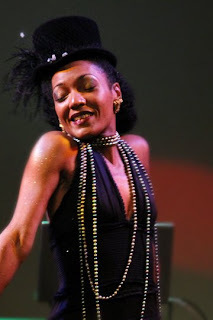 Celia from les Nubians: so gracious singing in NYC!